Over 60 years ago, the Rocky Gorge Reservoir Brighton Dam was completed. Since then, it has created a six-billion-gallon mainstay stretching more than 34,000 acres. Now visitors from all over the region visit the reservoir for endless outdoor activities and some fun-in-the-sun! If you’re looking for a day spent experiencing Howard County’s natural beauty through exciting activities, then you’ll love all the things to do at Rocky Gorge Reservoir. For more local attractions such as Rocky Gorge Reservoir, download your Free Howard County, MD Vacation Guide. It reveals all of the best nearby activities, hiking trails, museums, and more! It is a pristine, hidden treasure half way between the metropolises of Baltimore and Washington DC, on land owned by the Washington Suburban Sanitary Commission (WSSC) which provides water to the surrounding counties and has kindly permitted riding there in an environmentally respectful manner. Most of the trail diagonally traverses rolling hillsides but it also has some flat sections, generally through lovely woods but with a few open areas, all on solid and non-rocky footing. There are ample stream crossings to water the horses and almost continuous views of the pretty reservoir. To obtain a trail pass (free for over 64 and under 16; $6/day or $70/season for others), call 301-206-4FUN. Fishermen will find a wide variety of fish in the Rocky Gorge Reservoir, including walleye, bream, bluegill, crappie, perch, rainbow trout, brook trout, striped bass, catfish, northern pike, smallmouth bass, pumpkinseed, muskie and largemouth bass. 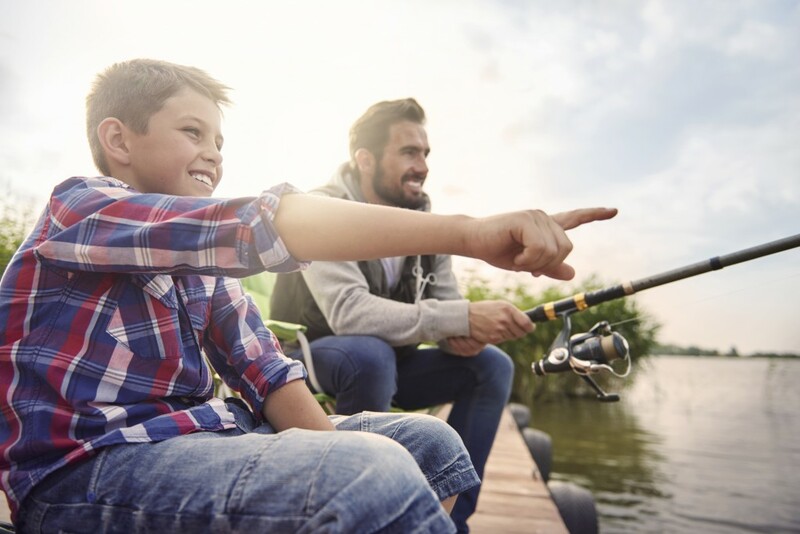 The Reservoir is suited to all types of fishing enthusiasts, whether you’re baitcasting, fly fishing or spinning For Fishing License purchase, fishing rules, and fishing regulations please visit Maryland Department of Natural Resources. Much like the horseback riding praises, the Rocky Gorge Reservoir is spectacular for hiking. It’s even considered a little-known treasure. While hiking, you can expect to come across heron and deer, and occasionally eagles, foxes and other wildlife. The trails are well-maintained and suited to almost every level of experience. They’re certainly not particularly taxing, depending on the length of your hike. This hike is definitely a must-do for bird watchers and wildlife enthusiasts. The Patuxent Water Trail offers visitors the opportunity to paddle the river, camp along its banks and visit its numerous parks, historic sites, and wildlife areas. Go to the Patuxent Watertrail website to view the route and learn how you can explore the Rocky Gorge Reservoir by boat. The Rocky Gorge Reservoir is just one of many attractions for nature lovers and outdoors enthusiasts in the region. You might also check out our blog posts on The Patuxent Research Refuge and The Patapsco Heritage Greenway. To learn more about the area, check out our vacation guide. To book accommodations at Wayside Inn, visit our website today. We’d love to see you soon!